…meet your future mandolin player. She can kind of play Twinkle Twinkle Little Star. 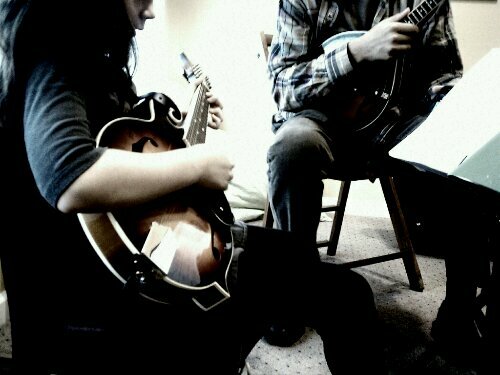 So yes, city folk, we’re taking mandolin lessons around here. Even I grab the lovely piece and hit it some. La Nena also is taking two other classes after school. I had a rule that we’d only focus on one extra-curricular a semester. That lasted until last year. There is a parental push to give, to expose, to share the world so she can take bites of it and decide what she likes. Taste the whole wide world, my girl. It is yours to discover. And Alison Krauss, see you at the Opry. Come to Nashville. I will let you sit in on her lessons!